If you’re a regular reader of this site, then you’re probably aware of iOS 5, the next major release of the operating system that runs on iPhones, iPads and iPod touches. While the system’s main features have been outlined by Apple two months ago, and the brilliant piece of software is believed to be very close to a public release, some still expect new features to be introduced at the last minute, perhaps exclusive to the long-awaited iPhone 5. "Secret" last-minute features added to iOS is something which Apple brilliantly pulls off. Last year, the company unveiled iOS 4 for the iPhone 3GS, which was the newest model of Apple’s smartphone at that time, just to introduce FaceTime a few months later, which is built into iOS 4 but exclusively available on the iPhone 4, iPod touch 4G and the iPad 2. It’s important to keep in mind that very little is expected to change in iOS 5 between now and its official release, yet there’s always room for the Apple community to innovate and perhaps even make way for jailbreak tweaks in the future. Many of these proposed additions are actually compelling and many would certainly love to see some of them integrated into iOS 5 someday. As you can see in the video above, there are quite a few proposed changes to iOS 5. Adding widgets to the Spotlight search pane, for example, would take advantage of a large amount of empty space and make widgets easier to access. Similarly, building widget management into Notification Center, where near-to-none widgets are currently placed, would make sense if third-party widgets were allowed into the platform, which doesn’t seem to be the case as of yet. Quite a few other suggestions are made, such as the ability to pair OS X and iOS devices together, allowing notifications within iOS to be displayed on the OS X menu bar. We could definitely use this feature, which would likely make the lives of power users much easier by letting them respond to push notifications without touching their handsets. The video depicts quite a few more, therefore I advise you to watch it. 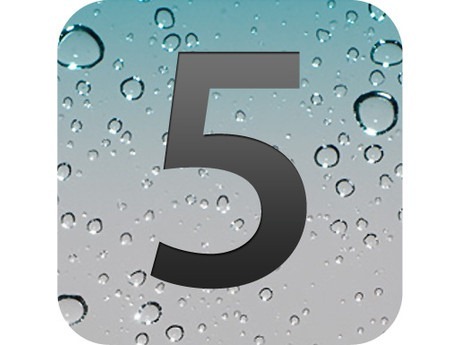 iOS 5 was first unveiled at Apple’s annual developer-oriented conference, dubbed WWDC, in June. The new release includes several new features, such as a revamped notifications system known as Notification Center and system-wide Twitter integration. Already in late beta stage, iOS 5 is expected to be officially released to customers in the fall, perhaps as early as next month.